With Tutu AVI to MP4 Converter, you could convert AVI file to Mp4 files that enable you watch them on your Cell Phone, iPod, PSP, Zune, MP4 player anywhere and anyway! Besides, it also support MP4 files to AVI and allow you set the advanced settings by yourself like video size, bit rate, frame rate, etc. Tutu AVI to MP4 Converter can do the best solution to share your favorite video on iPod, PSP, iPhone, or other portable MP4 video device. ...... can do the best solution to share your favorite video on iPod, PSP, iPhone, or other portable MP4 video device. 2. Video Screen Crop/Pan-- Tutu AVI MP4 converter provide a perfect conversion scheme to convert between different video aspect such as 16:9 and 4:3 video, whatever AVI to MP4, MP4 to AVI etc. 3. 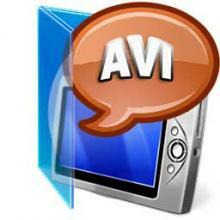 Batch conversion-- you can enactment every AVI MP4 video converting task flexibly, and the task can be saved and load. 4. User-adjustable codec parameter setting-- All of the video codec parameters is optimized and predigested, the default setting can get good quality AVI or MP4 video, and you also can set them flexibly to get excellent quality AVI or MP4 video files. Qweas is providing links to Tutu AVI MP4 Converter 3.1.9.1108 as a courtesy, and makes no representations regarding Tutu AVI MP4 Converter or any other applications or any information related thereto. Any questions, complaints or claims regarding this application Tutu AVI MP4 Converter 3.1.9.1108 must be directed to the appropriate software vendor. You may click the publisher link of Tutu AVI MP4 Converter on the top of this page to get more details about the vendor.